Highest quality parts & workmanship. 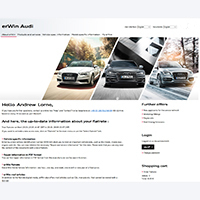 We are an independent garage specialising in Volkswagen, Audi, Seat and Skoda vehicles and our staff all have between 10 and 22 years of experience working with these brands. 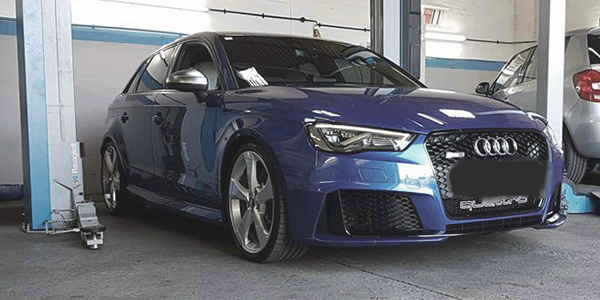 We provide a complete range of garage services which are tailored to VW and Audi owners looking for a professional alternative to main dealers. We provide manufacturer spec servicing, fault diagnosis, mechanical repairs, electrical fault finding, diagnostics, performance parts fitting service and performance tuning software. Our aim is to provide dealer level services at lower prices with the benefit that you can speak directly with the technician working on your vehicle. 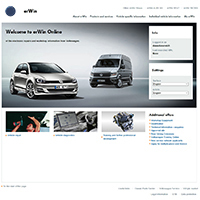 Our fault finding and diagnostic service is dedicated to vehicles from the Volkswagen & Audi Group range, including Seat and Skoda. We use main dealer diagnostic equipment alongside VCDS (formerly VAG-COM). Our up to date workshop information systems and extensive product knowledge allow us to quickly diagnose faults. All servicing is carried out to manufacturer specifications, genuine parts and lubricants are used unless requested otherwise and we offer fixed price servicing on all V.A.G models under 2.0L engine size. Individual quotes are available on larger engines. 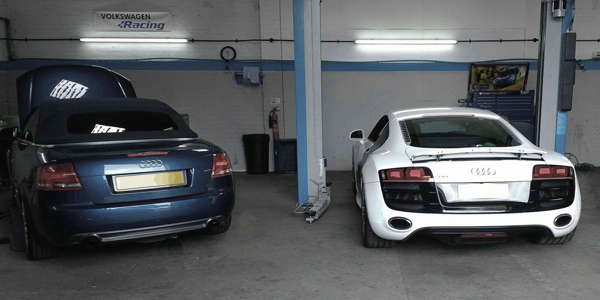 We Service to Volkswagen & Audi's specifications using genuine parts & fluids. Our technicians have many years of experience servicing at the main dealers and carry out the same inspection and ensure service items are replaced at the correct intervals. We carry out general repairs to all areas of the vehicle using original repair instructions. 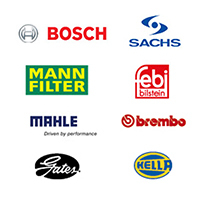 We prefer to use genuine parts but to offer economical repairs on older vehicles we also offer high quality OEM parts. Two new services to be offered this spring/Summer. Watch this space. Call for quotes on timing belt replacement we always replace the coolant pump if driven by the timing belt at no additional labour charge. Genuine parts fitted. Volkswagen, Audi, Seat & Skoda no longer use a physical service book to stamp and record your vehicle's service history. We now log on to the manufacturers system to store your service on a digital record. We use Volkswagen, Audi, Seat & Skoda systems to ensure we have the latest repair and service instructions to carry out accurate diganostics and ensure your vehicle is repaired and serviced to the highest standards. 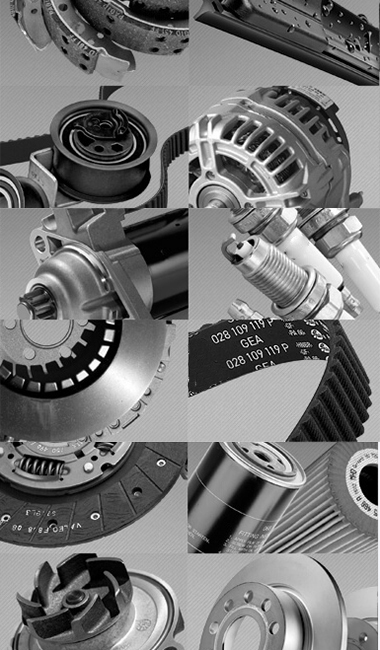 We always repair and service using genuine parts unless requested otherwise. When repairing older vehicles it is sometimes more economical to use high quality OEM parts, these are parts from manufacturers that are used in the production of your vehicle. My TTRS was in for a service this weekend, to have new rear disc and pads, and engine oil they done a great job and sorted a few niggles on the car without asking! I'm not a fan of taking my car to a dealer because you don't get the care that these independent garages put in. Highly recommend and will be using again! Had my 2015 s3 in for some aftermarket modifications. Included exhaust system, tuning box and lowering springs. Best service by far! Also cheapest quote anywhere! Fantastic knowledge of VAG vehicles. I wouldn't even bother with main dealers! Had some work carried out on my RS6, great service and work carried out, will be back to have updated brakes fitted. Excellent Service, Friendly, efficient and affordable VAG Specialists. Thank you guys for your help and advice. Had a problem with my diesel golf sounding like a choir of battle drums. I had some idea as to what the problem might have been (in brief an injector). Exclent and honest service at quick notice.The job was quickly completed and reasonable. It's got to be one of the best, reliable affordable friendly garages I know, many many thanks. Copyright © 2018 Das Auto Norwich Ltd.